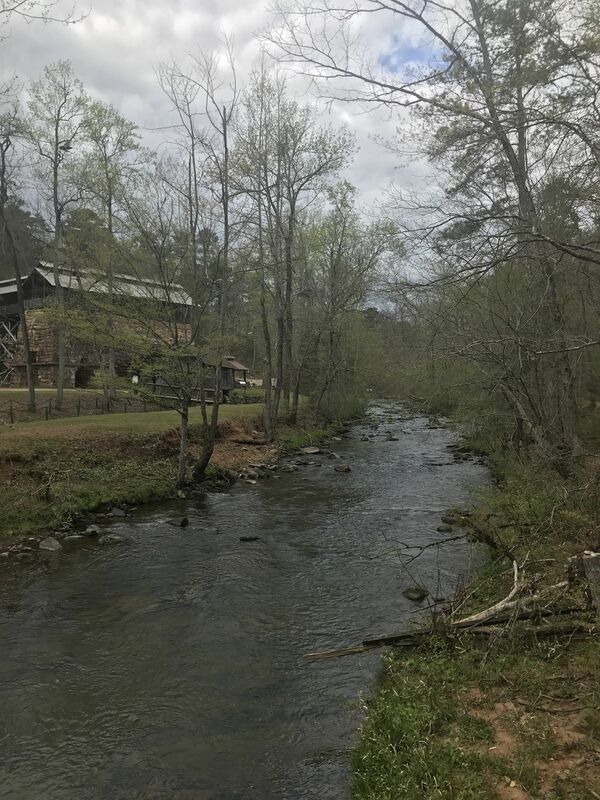 Pig Iron Trail and Cannon Ball Trail Loop is a 5.6 mile moderately trafficked loop trail located near McCalla, Alabama that features beautiful wild flowers and is rated as moderate. The trail offers a number of activity options and is best used from February until November. Dogs are also able to use this trail but must be kept on leash. I had a really great time hiking for 4 hours there. I found the toughest sections to be fairly easy. There's a creek running alongside the Mud Trail. Some of the grasses alongside the trail get pretty tall so wear pants or keep an eye out for ticks. $5 to get into the park. I'm 41, in decent shape, and only hike occasionally when I'm out of town for work. Very good place for beginners and intermediate riders. Cannonball is an excellent flow trail for mountain biking. Highly recommend all trails for all skill levels sans Furnace trail (advanced). Buy the annual pass! Great on a week day.